It’s hard to believe it’s just over a year since we opened our first London office. In March 2016 we established the Shaw Gibbs London accountancy team in Marylebone, primarily to fulfill growing demand from international property and business investment firms. The office gave us a physical presence in London, the UK’s gateway to a global marketplace, and the first ‘port of call’ for many inward investors. As our HQ is in Oxford, having a presence in London put us on a second apex of the UK’s ‘Golden Triangle’ of innovation-intensive economies - Oxford, London and Cambridge. As the London business grew rapidly we made a move to expand our capabilities while reaching out to a wider client base. In November we acquired accounting firm Cooper Murray, an established practice with many clients in the West End retail and property sectors. This expanded our London presence while offering added value and a broader range of services to Cooper Murray's clients. Two key members of the Cooper Murray team joined us after the acquisition. Business strategist Peter Watts and tax specialist Kevin Grafton became Director and Associate Director respectively. Well known for his “hands on” approach to management assistance, Peter has great experience working with SMEs, supporting owners and managers in leading their teams and taking on acting financial director roles. Kevin is a very experienced taxation specialist, with great knowledge of complex tax and company law issues, particularly with reports on clients’ taxation affairs arising from HMRC investigations. 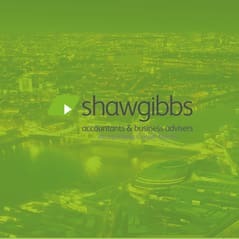 At the time of the acquisition, Peter Watts commented: “There is a natural fit with Shaw Gibbs, on a cultural as well as a business level,” and we are delighted that he and Kevin remain integral to our team. Looking ahead we continue to build our London team and to ensure it is fully supported by the large breadth of services from our Oxford HQ. We have recently appointed a Senior Accountant and an ACCA/ACA Accounts Manager focused on the SME sector. Our international credentials continue to grow. Also in 2016 we joined DFK International, the worldwide association of independent accounting firms and business advisers, in order to fully service international clients, who expect accounting firms to have extensive global reach, services and connections. With so much economic uncertainty in the UK and globally, we are proud to have achieved so much in London in the past year or so. It puts us where we want to be, ie., fully equipped to guide our clients through changing times, whatever their business size or growth ambition.